Episode 11 (Season 3) of The Almost Famous podcast is one of my favorites because we somehow managed to get THE MAN…Chris Harrison. I don’t think Ben and I would have ever thought that the tables would turn and we would be interviewing Chris Harrison. We are honored he came on our show because he claims he’s never been on podcast before. During Chris Soules season, I used to think Harrison didn’t like me, so he explains his relationship with me. Producer Amy explains how Harrison plays his TV role with her in real life…Like, she calls him crying and asking for boy advice often. Harrison discusses what he loves about his job, how surprised he is that he’s had it for 15 years, AND which contestant he’d want to take over as host if HE was The Bachelor. If you know him in real life, you know that this dude defines cool, quick, and genuine. I’m excited that this interview will help you get to know a bit more about the man that we know off camera. In addition to the interview with Harrison, Ben and I interview Andi Dorfman’s bestie Kelly Travis in our Who the Heck Are You? Segment. 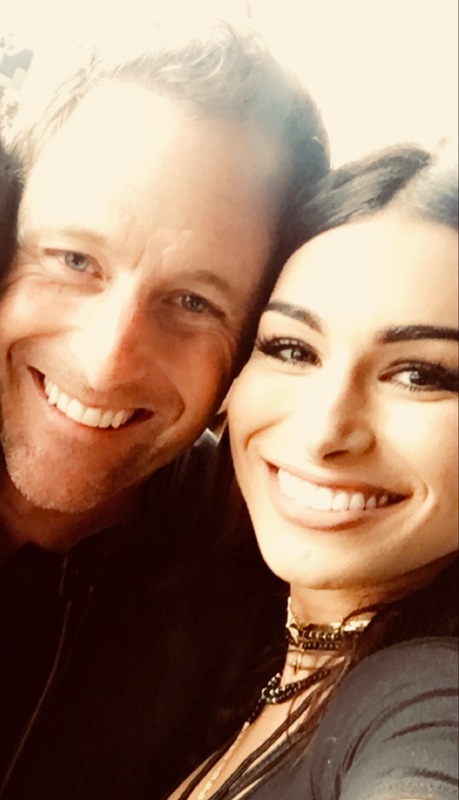 She talks about how much her life has changed since she was The Dog Lover on Juan Pablo’s season and how she nursed Andi through her breakup with Josh Murray. To wrap the episode, Deanie Babies steps in to have a conversation about our insecurities and compliment each other on our strengths. It kinda warms my heart. If you want to share your thoughts or have questions you’d like to be answered on the podcast, email benandashley@iheartmedia.com or rate us on iTunes HERE. The Almost Famous podcast is new on Tuesdays or Wednesdays during the “off season.” Listen and Subscribe on the iHeart Radio App or on iTunes.